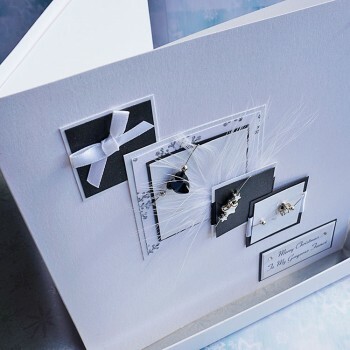 Luxury Boxed Christmas Card "Xmas Cascade"
Luxury Handmade Boxed Christmas Card "Xmas Cascade"
A decadent card for someone very special, with a beautiful jet black Swarovski heart bead and silver coloured beads and stars. Embellished with a lovely silver star bead, white feather, satin ribbons and Swarovski diamontes and mounted on a sparkly card mounts. 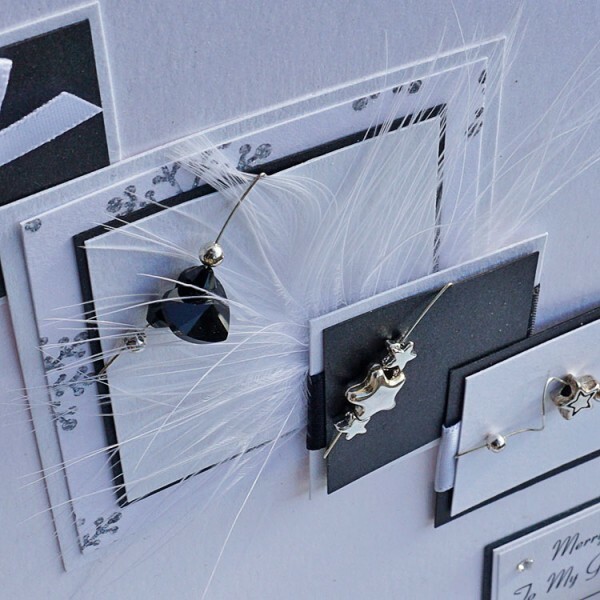 The personalised wording of your choice is mounted on silver sparkly cards and embellished with more crystals. 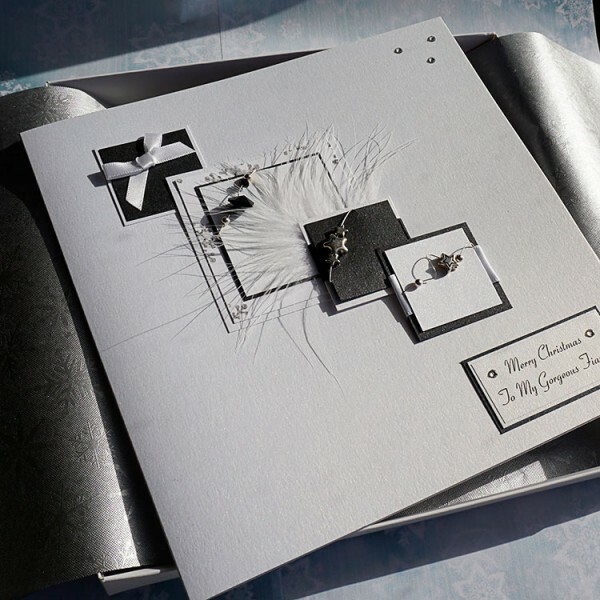 The design is created on a heavy white pearlescent card and comes with a lovely matching pearlescent white insert and a matt white boxed, lined with silver embossed snowflake tissue paper. The card in the picture reads 'Merry Christmas to My Gorgeous Fiance', but it can be personalised for a special friend or relative, such as Brother and Wife, Sister, Nan & Grandad, Mum & Dad or could simply read 'Merry Christmas'. Please enter your own special message in the box when you order. Luxury Christmas Card "Xmas Cascade"
Luxury Handmade Christmas Card "Xmas Cascade" A stylish xmas card for someone very special su..